If you live in Arizona, the annual calendar holds 14 state holidays. Most of these are also national holidays, so if you are from another state or visiting Arizona, they will be familiar to you. All state offices will be closed on these 14 days designated as holidays, with all U.S. government offices, including the U.S. Postal Service, closed on the ones that are also national holidays. If it's a legal state holiday and you work for the state of Arizona, you must be paid more if you are required to work on the holiday; you'll make 150 percent of your regular pay for that day. If you work for a private employer, however, there is no law that requires that employer to give you the day off or pay you any more than your regular pay if you must work on that day. Many private employers do choose to give their employees the day off on the most important of these holidays and pay them overtime if they are required to work. Many non-governmental businesses, especially retailers, are open on most of these holidays. The exceptions are New Year's Day, Christmas Day, and Thanksgiving Day when many businesses are closed. If a holiday shown in bold above falls on a Saturday, the State of Arizona observes the holiday on the previous Friday. If one of those shown in bold falls on a Sunday, the holiday is observed on the following Monday. 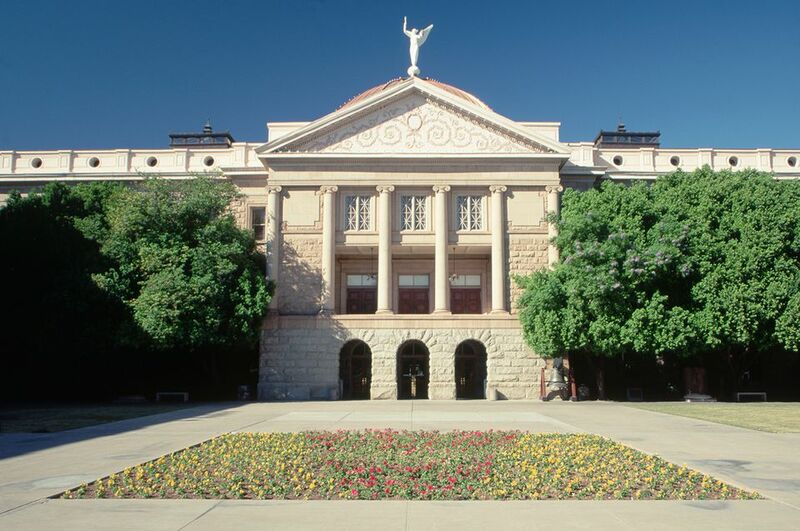 Arizona also celebrates Statehood Day on February 14 even though it is not designated as a state legal holiday. State offices are open to this day, and employees do not get a paid holiday or overtime for working.